It’s the day before Thanksgiving, and pie is on the mind. Tomorrow a pumpkin or pecan pastry will grace almost every house in the country. But that’s not the only reason we’re thinking of pie. This month, pie is also at the center of the national culinary conversation. 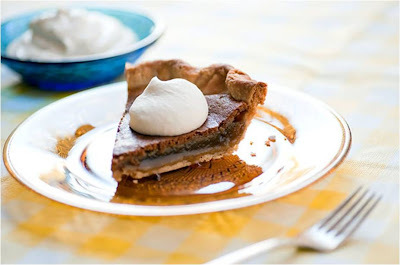 Trendologists, like Andrew Freeman, have declared pie the big thing for 2011, and last week, the New York Times officially stated that the cupcake’s time was up, and pie is in line to be our nation’s next sweet obsession. Indeed, pie shops have begun to spring up in across the country. The culinary capitols of San Francisco and New York have the largest concentration of stores. In those cities, bakers are turning out classic pies, as well as innovative plays on familiar flavors, like apple green-chile pie with a cheddar crust. Locally, pies are just beginning to make an appearance. Last Wednesday, chef Frank Bonanno (Mizuna, Luca ‘d Italia) opened Wednesday’s Pie, a once-a-week pie shop in Larimer Square that serves up pumpkin, banana cream, and caramel apple pies. Around the corner from Wednesday’s Pie, Euclid Hall dishes up fried pies. Try the chocolate, cheesecake, or peach preserves. And across town in Highland, the bakery Cake makes the classics: pumpkin, pumpkin praline, apple, pecan, and more. All these options should offer plenty of choices for Turkey Day and the year to come.